We have been manufacturing pharmaceutical, healthcare and medical labels for the pharmaceutical and biotech industries for nearly 20 years. We have access to a wide range of specialist materials including vinyl, polypropylene, polyester and aluminum to name but a few. For enhanced durability, we strongly recommend these labels are overlaminated to guard against abrasion and chemical spillage, especially where vital data is recorded. 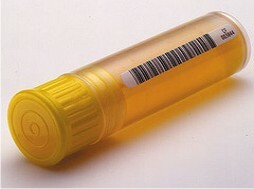 Typical label applications include vial labels, sample labels, medicine labels and bottle labels, all of which can include barcodes and other variable information. Our healthcare labels are used by an assortment of bodies and organisations, which make up what we refer to as the healthcare sector. The field comprises of institutions in private and public sectors, including care homes, dental and medical clinics, hospitals and alternative medicine providers, as well as chemists and laboratories. 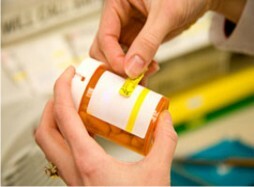 It is difficult to stress the importance of healthcare labels within the healthcare sector. When dealing with sensitive items and materials, it is vital that everything is identifiable to ensure maximum efficiency. From patients’ results to surgical apparatus – everything has to be tracked. 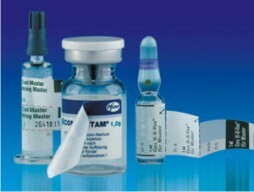 Our pharmaceutical labels are resistant to the chemicals they are most likely to come into contact with, including Ethanol, Toluene, Xylene and DMSO, as well as freezing and autoclave processes.